Are we shocked that Samsung wants to be taken more seriously in the mobile audio accessories business? Not really, seeing that they’re known to meddle in several consumer electronics affairs. From smartphones to refrigerators, Sammy has amassed quite a venture that’s not stopping or slowing down any time soon. Very recently, we reported that Samsung introduced a new line of high-end mobile optimized audio series, Level, which spans a wide array of options. 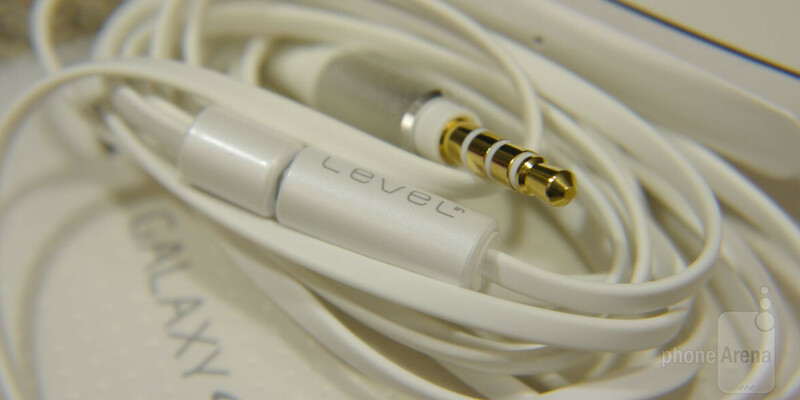 In this review, we’re taking a look at a premium in-ear solution – the Samsung Level In. For something priced above the $100 mark, the Samsung Level In doesn’t look or feel premium, which is a sad realization. Visually, it looks exactly like almost any other ordinary pair of headphones that come with the purchase of a smartphone – so there’s nothing too special here. Donning a white finish, one that’s comprised out of plastic, the Level In has a hollow feel. Indeed, there are chrome accents on them, but they don’t necessarily elevate its appeal. Initially, the silicone based ear buds attached to the Level In felt loose, but there are various sized ones included with the purchase that manages to fit our ear perfectly – and they even throw in a travel case too! Between the silicone and memory foam tips, we prefer the latter because of their more snug fit in the ear. Along the right ear bud’s cable, there’s a stereo microphone that incorporates multi-function and volume control buttons. Despite the lackluster design, it features a three-way speaker system that Samsung specifies to provide “an immersive sonic environment for any activity with a powerful three-way speaker, letting users enjoy rich sounds that cover all the low, mid, and high sound naturally and with clear sound separation.” Essentially, that three-way speaker system is comprised out of 2 balanced armatures that deliver HD Sound for treble & mid-rage, and 1 dynamic speaker for deep bass. So, how does this three-way speaker system fair? Actually, it does a good job of maintaining low, mids, and highs – without one particularly being favored more than the rest. In fact, it manages to produce a subtle amount of bass that doesn’t sound overpowering against the mids and highs. The volume output is strong, so there’s no worry about crackling or distortion at the loudest volume setting. However, we would’ve preferred having a crisper output with its quality, mainly because an untrained ear might think of it to be more flat toned than anything else. Expected to be attached with a retail price point of $149 when it goes on sale soon, the Samsung Level In suffices in the audio quality department, but its design is too conventional to put it in a class of its own. If it’s intent on making a statement, we would’ve preferred seeing it accompanied with a slightly more luxurious construction, as this one lacks any highlighting qualities to justify its “premium” element. I dont understand how plastic construction is a CON in in-ear headphones?! At that price I would only accept near perfection in all aspects. will they work with note 3 ?? So anything that is made of plastic is a con? If you believe so then please tell us what would be a lighter option for headphones? Plastic isn't a con for IEMs. Some of the most expensive IEMs are made out of plastic, just look at brands like Shure and Westone. I personally have the Westone W10's and I have mo problem with the plastic build. Even custom iems are made of plastic. These guys are just haters who know sht about good audio. can you comment on the headphone's functionality as part of a mobile device, for example, call quality with the microphone, are the functions of the buttons customizable, etc? I don't know which other material would keep the lids light, I used to have some aluminium headphones and due to their weight they keep popping off my ear, Now I use Klipsch headphones for gym and for casual use and they are brilliant (more than 1yr old of daily use) but they feel like crap cuz of plastic body and weird rubbery wire however due to their durability I can easily live with that. The chrome plastic looks like they ripped it from their other products. Honestly plastic is the only material i would want ear buds made from but maybe its how they implement it, we all know Samsung stinks in this area. Seems even Samsung is going for the way over priced ear buds, they are in no way tied to premium audio so it would be a better idea for them to sell them cheaper to get their foot in the door. My bose ear buds were 99.99 and they were a bit high. John V be like: "So today we will review these earphones, BUT FIRST, LET ME TAKE A SELFIE"